Hope is something that is critical for everyone living with Parkinson’s disease.Hope for improvement in symptoms. Hope for a better life. Hope for a treatment that may one day arrest disease progression or even deliver a cure. We should embrace hope, but we should also protect everyone living with Parkinson’s disease and their family members from emotionally as well as financially draining opportunities which may overpromise and under-deliver. In this month’s “What’s Hot in PD?” blog we will revisit and provide an update on stem cell transplants and stem cell tourism with a special emphasis on reported dangers and complications from this procedure. We will refresh the topic and also include worrisome stem cell transplant complications data provided by Carlos Singer, M.D., Director of the Parkinson’s Foundation Center of Excellence at the University of Miami. A breakthrough scientific development was undoubtedly the ability of scientists to manipulate skin and other cells to be reprogrammed to become what is known as pluripotent stem cells. Pluripotent means that the cells, once generated, gain the ability to form multiple different cell types in the body. How do scientists pull off this remarkable accomplishment? In their laboratories, researchers induce the expression of several transcription factors that encode the genetic maps in any person. By inducing these factors, they can generate what has been referred to as an induced pluripotent stem cell or iPS stem cell. In the initial experiments, a combination of the chemicals Oct4, Sox2, Klf4, and Myc were used to induce a transition of fibroblasts (skin cells) into stable and self-renewing cells. Remarkably, these cells very closely resembled embryonic stem cells. The ability to generate stem cells from skin cells should reduce the debates surrounding the use of human embryos for stem cell research. The reprogramming of stem cells has been demonstrated in a wide range of cell types, and it reaches far beyond skin cells. Several newer techniques have been employed to reprogram cells from various body tissues. These methods have included nuclear transfer, cell fusion, explanation of cells in culture, and the transduction of cells with several well-defined factors and chemicals. The exact molecular mechanism underpinning the reprogramming remains uncertain, but it is important to appreciate the critical discovery that scientists can reproducibly generate stem cells from many sources, and they can reprogram them into many cell types. iPS stem cells have raised the possibility and the hope of curing Parkinson’s disease for patients living on all continents. Could it be possible through this cell reprogramming technique to generate tailor made cells and use them as neurotherapeutics? Recent rat and primate studies have revealed that these cells can be manufactured and transplanted, then survive and help the symptoms of Parkinson’s disease. So why then have we fallen short of a cure with stem cells? There are major hurdles that must be crossed to move to the clinical implementation of therapeutic preparations of iPS stem cells. It is critical that these preparations be completely pure and free of undifferentiated cells that may have future potential to form tumors. 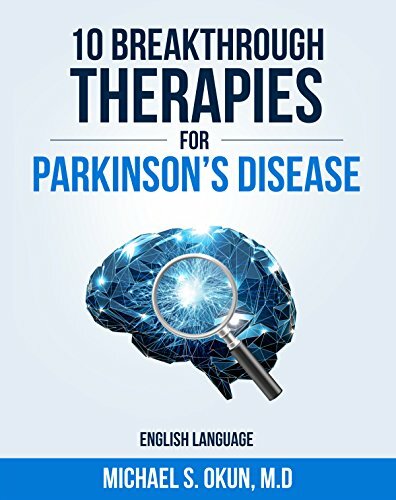 The most significant challenge will be the development of techniques to facilitate the precise delivery of iPS cells into patients and the functional engraftment of these cells into the appropriate and complex Parkinson’s circuitry. Scientists are now beginning to appreciate that the basal ganglia brain motor and non-motor circuits are so elaborate and so multiplexed that simply transplanting cells into one or more spots will not be enough for the cure. There are, however, several direct and immediate applications of iPS cells to Parkinson’s disease research. Drug screening and disease modeling will be two potential and immediate uses for the technology. Improvements in high throughput drug screening using iPS cells may allow identification of compounds that could be used as drugs to treat the symptoms of Parkinson’s disease. A 9 year-old boy with ataxia telangiectasia from Israel was evaluated in a stem cell clinic in Moscow. He underwent three separate stem cell transplants. The fetal cell transplants were directed directly into the brain (cerebellum) and into the spinal cord. He complained of headaches following his final transplantation procedure and he was diagnosed with an a multifocal glioneural tumor. The tumor was located in the area of the stem cell injection sites. The cells in the tumor were examined by a pathologist and confirmed to be non-human and likely from the transplant (Amariglio et al: PLoSMed 2009; 6(2):0221-0231). A 46 year-old woman with a twenty year history of lupus-related kidney disease was evaluated in a stem cell clinic in Thailand. She underwent G-CSF induction of hematopoietic stem cells that were collected from her blood (autologous transplant). The clinic in Thailand injected these cells through her skin and into her kidneys. She had no improvement at 3 months. After 6 months she complained of flank pain and had blood in her urine. An ultrasound and MRI study revealed a left kidney mass and a few smaller kidney masses. There was a right adrenal gland mass and a liver mass. She was diagnosed with a urothelial cell carcinoma with metastatic spread and later died of sepsis. The authors felt her cancer was related to her stem cell injections (Thirabanjasak et al, J Am Soc Nephrol2010; 21: 1208-1222). A 66 year-old man had disability from a previous stroke and sought a therapy to improve his deficits. He was evaluated and treated in stem cell clinics in China, Argentina and Mexico. He had intrathecal infusions of mesenchymal, embryonic and fetal stem cells. He complained of progressive lower back pain and developed urinary incontinence. He was diagnosed with an atypical glio-proliferative tumor. The tumor was shown by DNA analysis to originate from the spinal cord injections of the stem cell transplant (Berkowitz A et al NEJM 2016; 375(2)). 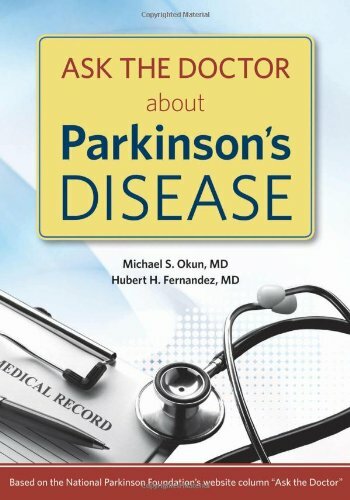 Based on the Parkinson’s Foundation’s extensive experience in advising patients on cell transplants (stem and other cells) through our 1-800-4PD-INFO toll-free helpline, through our Ask the Doctor online forum, and through our extensive international Centers of Excellence network, we have developed several practical tips for patients and families. If you are considering a stem cell transplant for Parkinson’s disease, insist on full copies of two documents. The documents are the stamped and dated Institutional Review Board (IRB) Protocol and informed consent. If a stem cell transplant center cannot produce the two stamped documents, we suggest walking away. Do not make a snap decision after meeting with the doctor’s proposing the transplant. Bring the documents to your doctor for an independent review and a discussion of the risks and benefits of the study. If you are being charged for the stem cell transplant, we suggest walking away from the deal. You should request to be paid for your time, effort and accommodations. Stem cell transplants for Parkinson’s disease and other neurological conditions remain classified as research, and the FDA has not endorsed them as a standard of care. Just because a study is listed on clinicaltrials.org does not mean that it is legitimate. In point of fact, several current listings for stem cell transplants in Parkinson’s disease are charging patients. There are reports of serious adverse effects (such as tumor formation) from human stem cell injections. Finally, there remains hope and optimism for stem cells for use in screening for new drugs as well as in modeling animal versions of Parkinson’s disease. One such example is a recent stem cell drug screening research grant that was just awarded to Birgitt Schuele at the Parkinson’s Institute in Sunnyvale California, a Parkinson’s Foundation Center of Excellence. Okun M.S. 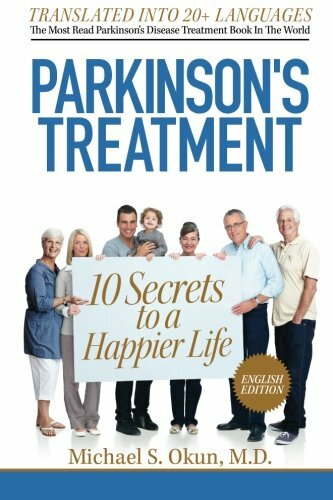 Parkinson’s Treatment: 10 Secrets to a Happier Life. Books4Patients, 2013. Special permission granted from the publisher to include sections of the book above. Okun M.S. 10 Breakthrough Therapies for Parkinson’s Disease. Books4Patients, 2015. Special permission granted from the publisher to include sections of the book above. Special thanks to Carlos Singer M.D. for contribution and background on the complications of stem cell transplantation.